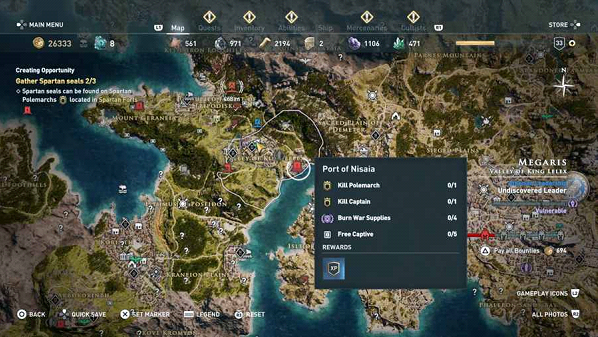 In AC Odyssey, one of the side quests requires you to hunt Spartan Polemarchs around the map. Polemarchs are the toughest opponents guarding the fort. 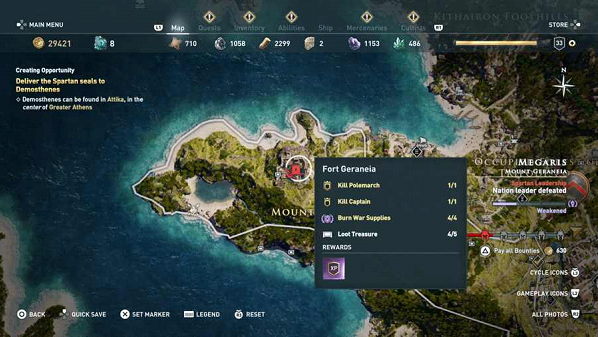 This article will guide you on where you can find Polemarchs in the map and how you can conquer a well defended fort. To start the mission, you have to visit Greater Athens in Attika. Near the mighty statue of Athena, an Athenian general can be found looking for a mercenary. You simply talk to him and accept the mission. This mission can be done thrice or more times. You will always find the General here irrespective of your game progress. 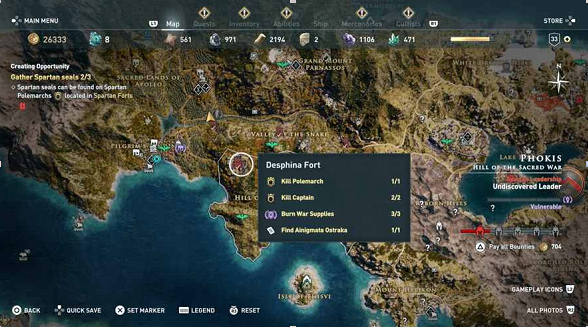 There are a number of forts in Odyssey’s map. But Polemarchs are not found in all of them. You can take your mouse icon on the fort and check whether it is showing the option of “Kill Polemarch”. If the fort does display the option, then there is a Polemarch in the fort which means there is a Spartan seal you can collect. Another important thing to remember is that if you want to collect “Spartan” seals you have to kill Polemarchs that are roaming in the forts located in Spartan territories. If you kill the General in the fort which is under Athenian control then it will do you no good. Be sure to check the territory hold first. Although you can always fight the conquest battle to change force in charge of the Island. You simply have to trigger conquest battle. It can be done by destroying Silos, looting national treasures, destroying weapon caches and killing the leader of the area. Once you see the conquest battle icon in the map, you can choose to fight for either side. 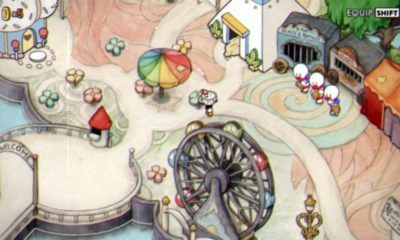 If you kill the Polemarch before starting the mission then you won’t find any seal on it. But don’t worry, Polemarchs will return to the forts when you complete 2 or 3 missions. So, just revisit the fort after a while and collect the seal by killing the Polemarch. Fort Geraneia is located in Megaris. If in your game, Spartans hold the control on Megaris, sneak into the fort, kill and collect the seal. This is another fort in Megaris. Port Nisaia also have a Polemarch. If it does not just comeback after doing a few side quests. As you can see, two seals can be collected from Megaris only. 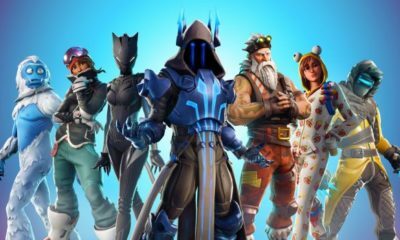 If you find it difficult to clear the fort there are a couple of ways and tricks which you can use to get the job done. Try to sneak in: If you are having trouble clearing the fort, try sneaking in instead of just barging through the front door. 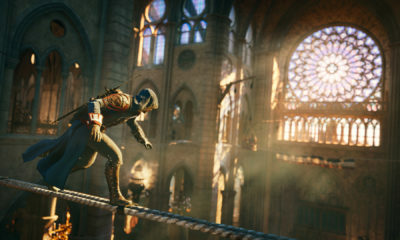 In the game your character is a mercenary, still it is an Assassins Creed game. You cannot forget the basics. Plus, there are a lot of assassination abilities to help you. Try to move from one enemy to the other. Remember assassination from behind is extremely useful when you have “increased assassination damage from behind” engraved on your armor or weapon. It can increase the assassination damage up to twice. Also, you can use chain ability to assassinate multiple (up to 4) enemies quickly. Tag: Our mercenary is called Eagle bearer for a reason. You can tag enemies and loot items using Ikaros. It can be extremely helpful conquering a fort. When you know the location of enemy soldiers you will move with more caution and chance of detection will be reduced greatly. Lieutenant: Using the Lieutenant first is a good choice. He will distract enemies providing you enough time to directly kill the Polemarch or finish off at least 2 Captains. You can also train wild animals like Wolf, Bear or Lion to be your companion and they will attack any enemy on sight. But it will cost you the element of surprise. Distraction: If no technique is working for you then try separating the enemies. The trick is when any enemy identifies you, run from there and let him chase you. You can kill him far away from leaving the fort with one less guard. This technique is especially useful against mercenaries. Usually when you attack a fort, there is good chance you will get a mercenary on your tail. To kill the mercenary while fighting the other enemies can be tough. Simply take the mercenary away from the fort and finish him/her off. Many forts are located on mountains. You can take down the mercenary by a using single Spartan kick throwing him/her off the cliff. Don’t forget to climb down there and collect your loot as mercenaries often carry strongest armor and sharpest weapons in the game. Try implementing these techniques next time when you are looking for Spartan seals or conquering the forts for fun.